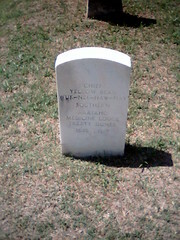 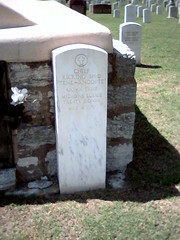 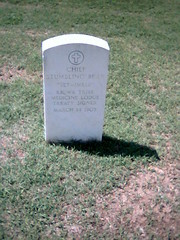 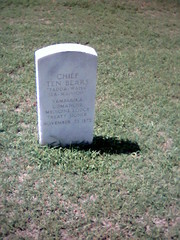 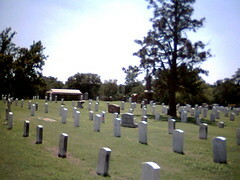 These marker are some of the oldest in the Cemetery In this section there are many Indian Chiefs and many, many calvary men. 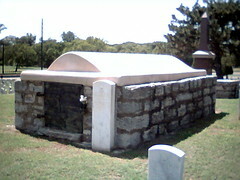 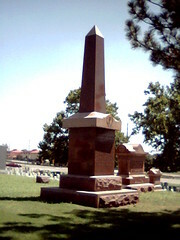 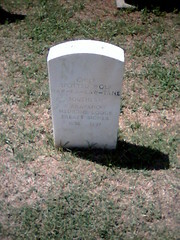 One of many grave markers in the old part of the Cemetery. 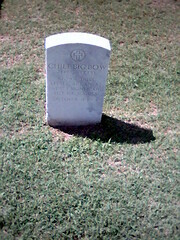 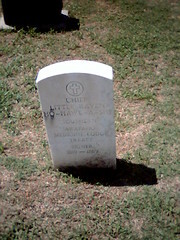 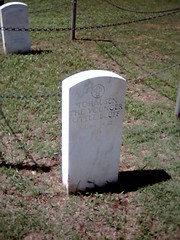 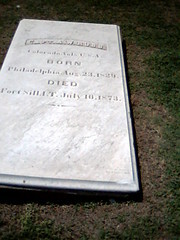 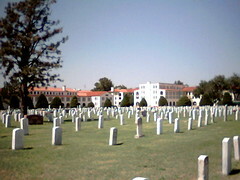 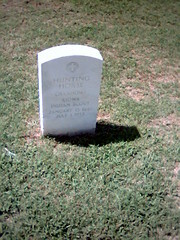 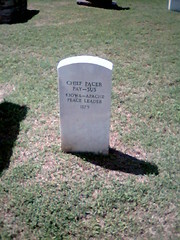 ( Grave size Marker covers the grave and lays flat on the ground. 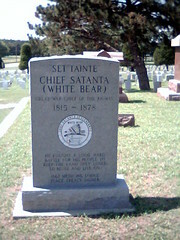 He fought a long hard battle for his people to keep the land they loved to hunt and live on. 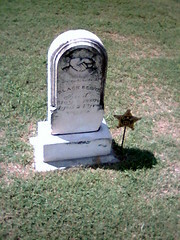 Born - 1852 Died Feb 23, 1911.